Repair Your Vintage Lamp Today! At Lighting One of Cincinnati, we’re always excited to meet new people and discover what their lighting needs are. We have customers come in looking for new light fixtures for their home, and we have those who come in wanting to restore a lamp that they’ve had for many years. In these latter instances, we always take into consideration the age of the lamp and what type of repairs it needs. If you have a vintage lamp that you want to rewire, then bring it to our showroom today! While it’s a bit astounding to think that the 1950s ended nearly 60 years ago, the decade’s design influence can still be found in lighting and decor. Sure, there have been many modern updates over the past 60 years, but there is something to be said about the clean lines and organic shapes that influenced the lighting of the 50s. 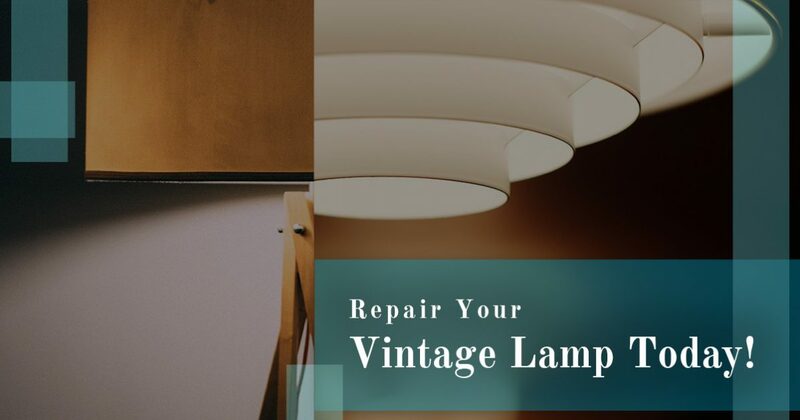 If you have an heirloom lamp from this decade that you want to get working again, then bring it to our repair experts and we’ll find the best solution for your fixture. The 1960s saw the Space Race between the United States and the Soviets, the rise of the counterculture movements, and many other historical milestones that influenced art and design for the next few decades. When it comes to lamps from the 60s, the designs range from futuristic, space age fixtures to the reemergence of Art Deco. Spherical lamps were very popular, and if you inherited a 60s-era lamp from your parents or grandparents, we’ll do our very best to get it working again so that you can display it proudly in your home! Vintage lamps, while perhaps dated, can still offer great design choices for your home. 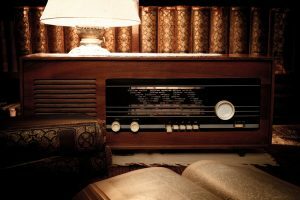 You might be building a home theater with a certain theme or aesthetic, and a lamp from the 50s or 60s may work perfectly in the space. However, if the lamp isn’t functional, the only advantage it can provide is as a piece of decor. While this isn’t the worst thing in the world, you want to balance design and functionality, which was of course the original creator’s intent when he or she constructed the fixture. The lamp should provide the design aesthetic as well as the light you need so that not only do you have an interesting piece of decor, but a well-lit room as well. If you have a lamp that’s been collecting dust in the attic, or it’s been tucked away in the basement for 20 years, then why not restore it to its former beauty? At Lighting One of Cincinnati, we can repair your lamp and make it functional once again. New life will be breathed into a form that was created 60 or 70 years ago, and we know you’ll be able to find the perfect spot for it in your home. To learn more about our lamp repair and rewiring services, contact us using the form below, or call us at (513) 306-4442.